Authentic Irish Cuisine in Westminster! 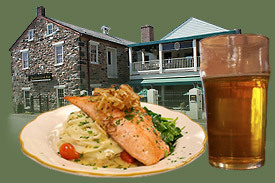 Located in beautiful downtown Westminster, Maryland, O’Lordans Irish Pub offers traditional Irish fare and eclectic menu specials. Enjoy a variety of lagers, ales and fine Irish whiskies at the finely crafted, “turn of the century” bar, or relax outdoors on our patio.